Caernarfon Bay (occasionally Caernarvon Bay) is an inlet of the Irish Sea defined by the Llŷn peninsula and Anglesey. There is some amazing fishing to be done in this region. 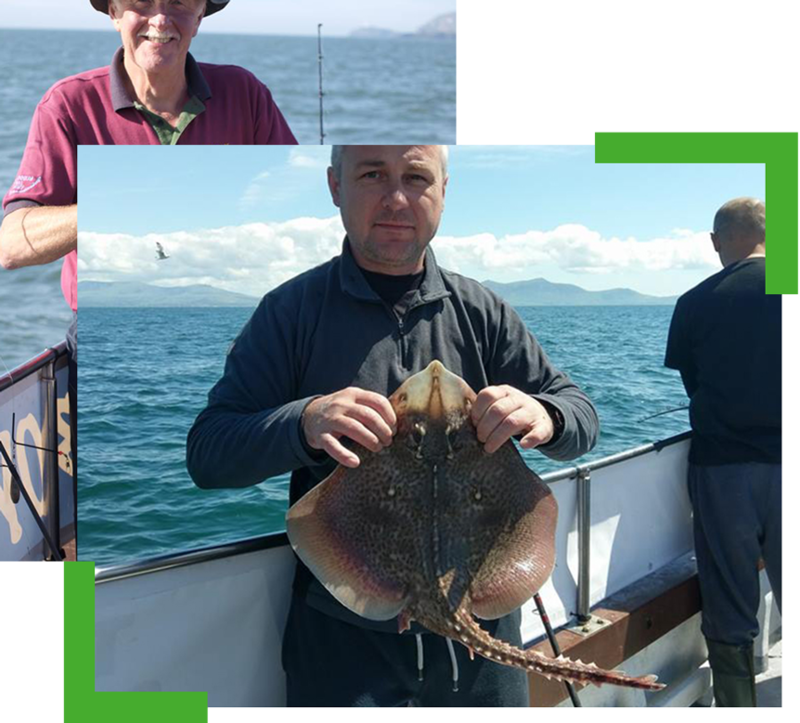 The bay can provide excellent sport on species hunting days drifting over the many banks in the area for Gurnards, Dabs, Turbot, Plaice, Skate etc.... A few wrecks around the area provide a great attraction around slack water to anchor up for Tope, Spurdogs, Skate and Bullhuss. 4-8oz uptider or 12lb class boat rod along with a 5000/sl20 size reel loaded with 20lb braid for the main part and then the business end consists of a running ledger 4ft hook length of 30-60lb mono depending on your target fish and again a verity of hook sizes to accommodate multiple species. weights from 4oz to 12oz torpedo and teardrops work best. Get in touch with Bad Boyz for amazing fishing trips in and around Caernarfon Bay, Anglesey.